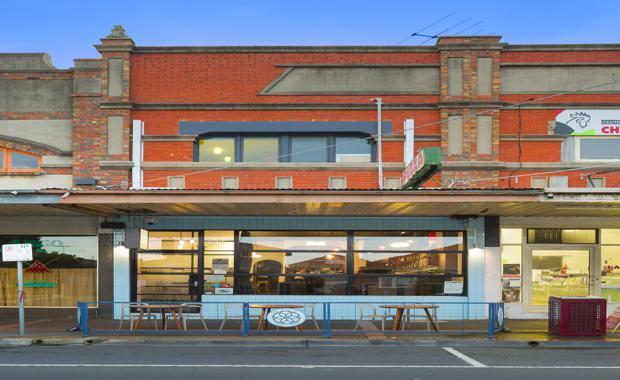 An owner-occupier has paid $1.563 million at auction for a retail/commercial/residential freehold property at McKinnon on Melbourne’s south-eastern bayside. According to marketing agents, Teska Carson’s George Takis and Barry Novy, the more than 80 pre-auction enquiries for the 135 McKinnon Road property came from a mix of mums and dads to private investors and owner-occupiers. "There was a real mix of enquiry for a property which had a lot of upside due to its versatility of retail, commercial and residential uses and its dual street access in a highly sought after and tightly-held strip," Mr Takis said. "There’s no doubt that low interest rates and the security of bricks and mortar were also key drivers. "He said four bidders in the 55 strong crowd delivered a fantastic outcome for the vendors. The property comprises a 300 sqm retail/commercial building on a 240 sqm site zoned Commercial 1 with six metres street frontage and a right of way at the rear providing access to on-site parking. The solid brick, two storey building includes a large, recently upgraded, ground floor restaurant space, and a second level currently utilised as a private dining room, with two offices, a bathroom and large living area.